It may be only a self-perception that makes us drift away from our purpose. 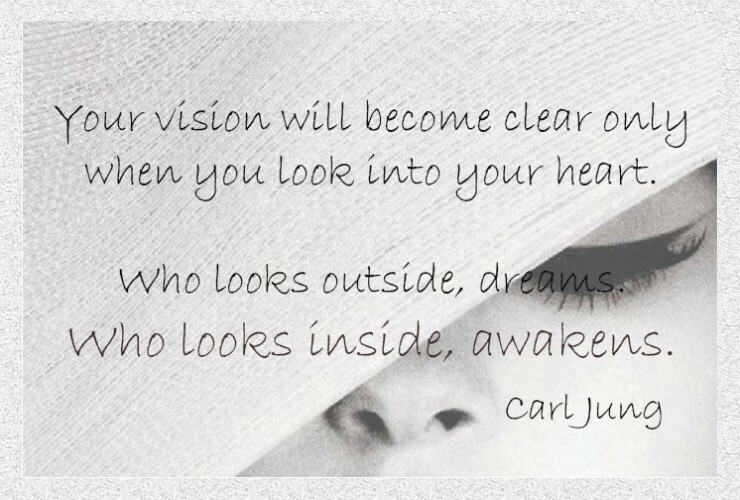 But it is this internal search, or awakening (according to Carl Jung), that may occasionally lead the way to our true calling. Call it dreams or call it awakenings – it is the awareness of the need to find them that starts the search for meaning. The famous psychiatrist Viktor E. Frankl called the human search for meaning "self-transcendence." This term describes a positive result in the individual search for meaning together with long-term emotions of happiness. His model concerns self-fulfillment and the setting of personal goals. Setting personal goals in our life helps to define a proper and meaningful way of living, and provides us with opportunities for life planning and structuring. Our hopes, wishes and thoughts then follow suit and lead to a greater sense of happiness and life satisfaction, two spheres of subjective experience. It is this same subjective experience that allows for the acquisition of knowledge regarding self-understanding and cognition, as well as the awareness of inclinations, attitudes and behaviors. This knowledge, once attained, sets the stage for increasing positive life experiences, which themselves lay the groundwork for life satisfaction and happiness. 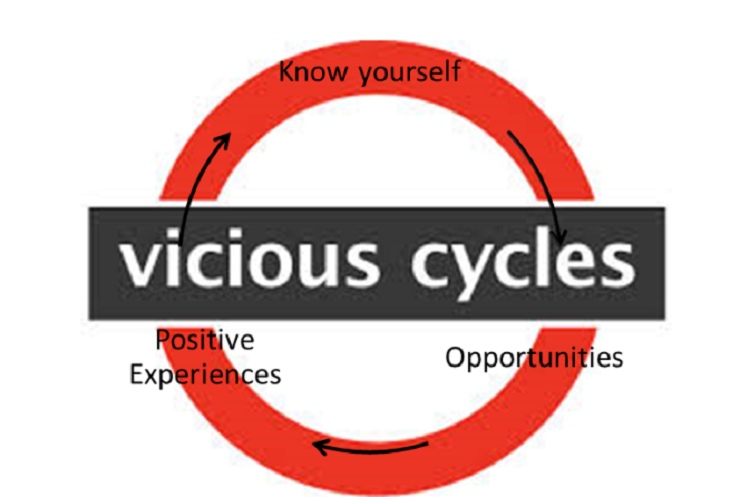 I see it as a kind of a vicious cycle: the better you know yourself, the more appropriate the opportunities which open up before you and the more positive the experiences you undergo. And it is through these experiences that you get to know yourself better and start to notice options you hadn't noticed before. In my opinion, when embarking on your journey, you can start with any one of these three stages– knowing yourself, having positive experiences, and taking new opportunities. Some may start by seizing an opportunity, others by collecting positive experiences, but no matter where you start, you will surely go through all stages in a circular flow in order to reach self-fulfillment and self-esteem. The same applies to me. You could say I have visited all three stations in the past, but this time I felt a need to go back and really work out what it is I want to do by getting to know myself better. Most of us choose our métier in our twenties based on many parameters, none of which concern our true calling. At that stage of life, we clearly still lack the mileage of experienced wisdom. It is deep understanding that allows for simplicity to evolve from within us. Carl Jung said that "life really does begin at forty. Up until then, you are just doing research." This resonates well with me as I am a strong believer in the groundwork, and recognizing my early experiences as just a beginning was something I could hold on to. In order to set new goals as suggested by Frankl, I first needed to experience the awakening referred to by Jung. I started with weekly visits to a therapist, something which was new to me and required the honesty to face my need for external help. I then moved on to inspiring books, determined to absorb all they had to offer. But my search really took off when I acknowledged the fact that I know nothing. Not in the sense of ignorance or lack of knowledge, but rather a kind of active bewilderment, the acceptance of the unknown and the embracement of the uncertain. Instead of finding comfort in my proven achievements and resting on my laurels, I confronted the infinite vacuum in quiet anticipation that innovation will issue from this emptiness. It is not just any kind of emptiness, but rather a hole that has been resting patiently within me, reminding me that I have, for some time, neglected the child within me who has been quietly awaiting her turn. While the ability to preserve this inner child is a virtue, we often abandon the effort. But by uncovering the layers that have been created by protective armor, disappointments, disillusionment, or simply the passing of time and new realities, you may make new revelations. Sitting in front of that blank page created by my desire to start anew, I began by literally making lists of all the things I love and hate to do. In the process I was reminded of my love for learning new things, creating something from scratch, achieving predefined goals, and feeling the satisfaction of achievement; memories of myself sitting for hours as a young girl resolutely solving the math exercises which were one of my early victories. It was the challenge that made it appealing; it required self-discipline, determination and gave me a clear sense of achievement. It was something I liked doing, a contribution to my list of skills, but also a positive experience I could lean back on in years to come. If I had had the financial resources, I would have probably been an eternal student. But a lack of resources can sometimes be an advantage, and life or destiny often seems to have its own way of taking you where you need to be. Next on my list, I itemized my love of travelling to new places, enjoying new encounters, insights, or thoughts I have read or heard about, and being pleasantly surprised by a visit to a restaurant, a dinner hosted by friends or the tasting of a new dish. I then went on to add to my list the little things I enjoy doing in my spare time, those moments when I spoil myself with the delights life has to offer: listening to new music, flipping through magazines, shopping online, keeping in shape, having a heart-to-heart with a good friend. My list also included the things I hate or dislike, but I chose to concentrate on the positives rather than the negatives. By carefully observing my reactions to what I like doing, what makes me lose track of time and be completely absorbed in what I am doing, I could then translate this list into deeds and qualities. The turning point is when you can actualize all your loves and hates, proficiencies and deficiencies into understanding what your hidden qualities are. It is the combination of capabilities coupled with personal choices and inclinations that arouses the passion to pursue a dream. My lists just sat there for some time, like a sketch on a canvas waiting to be completed. At times they have seemed useless, at other times they have emerged into an idea, a direction or some vision. And with time I have realized that these ideas and directions are taking the shape of two amorphous goals: transforming my love of study and mind challenges into a means of better understanding my passions, interests, and motivation; and creating an environment that most matches my preferences. Since work for me represents "doing," and doing is an essential part of what makes me happy, then I should build work around the things that I feel most comfortable with, both in terms of content and people. By searching for meaning I have come to understand which tools may lead me to the next stage of my journey: learning independently and building a work environment that most suits my needs. It is just a beginning, but a good place to start creating a reality I aspire to in the coming years. By starting with a search for your meaning you can find yourself on a new road that can turn out to be exciting and promising.